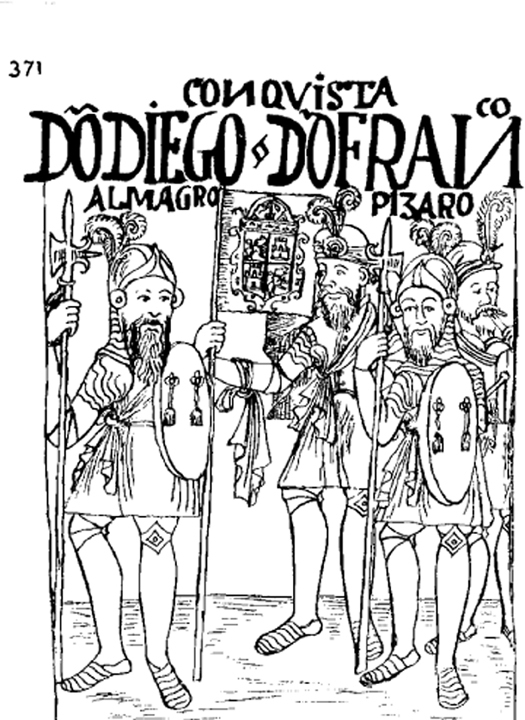 In mid-1536, Diego de Almagro began making preparations for his return trip to Peru. The difficulties he had experienced in the valleys of central Chile, the indigenous uprisings and his unfulfilled aspirations, weighed heavily in his decision. Added to this was the news from Peru about an uprising led by Manco Inka Yupanqui, also known as Manco Cápac II, one of the first “rebels” of Vilcabamba. This event underlined the seriousness of the situation: the conquest of the Andes was under threat, and he must return quickly. Almagro knew that once he reached the Copiapó Valley, he would have two choices. One would be to retrace his steps through the pass over the Andes east of Copiapó, crossing into northwest Argentina, Bolivia and then to Peru; however, his men still bore the unpleasant memories of the previous mountain crossing—the narrow trail, rocky outcrops, strong winds, dry cold, and the thunder that warned of approaching snowstorms were all experiences that they did not wish to repeat. The other way led through the Copiapó Valley into the Uninhabited Atacama region, crossing the deserts of the Arid North into southern Peru. That was the route Almagro chose, but the crossing would not be easy and they would have to take the necessary precautions. The force would be supported on its journey by a ship sailing along the coast: the San Pedro would disembark a group of men north of the Uninhabited Lands that would then make its way to “Atacama la Chica” (Chiu-Chiu today) and then “Atacama la Grande,” where the city of San Pedro de Atacama stands today. This group would gather provisions and await Almagro’s host. When he reached Copiapó, Almagro learned from local chiefs that freshwater springs—jagüeyes in the local language—could be found all along the route through the Uninhabited Lands. He decided then that his force of around 400 men would march together, each with his own horses, yanaconas (indigenous servants), provisions, and cooking implements. Each would also carry gourds and animal hide bags to transport water between watering holes and for provisions they brought and obtained along the way. One month later, the men who had come by sea joined Almagro in “Atacama la Grande,” where they were attacked by a group of indigenous people. The natives had fled from their homes and taken refuge in a pukara. The Spaniards rested for several days on their journey through this sandy land, then reached “Atacama la Chica.” As they continued their journey northward, they observed more oases and valleys here than on the route through the Uninhabited Lands. Here, their strategy was to advance in small, self-contained groups, but when the last of the host reached the valley of Pica, they found some of the men from the forward-most groups dead, their bodies dismembered. Almagro’s army remained here for several days collecting the corn that they found in storehouses and silos. From there, in order to access the freshwater springs in the valleys of Arica and Tacna the force would have to go by the coastal road or the plains road; either way, they still had to cross the northern pampas. They arrived at a province called Turapaca (Tarapacá), where the natives were in a state of rebellion and had hidden all the food and livestock. Finally, in early 1537, they reached the valley of Arequipa in southern Peru. Three years later, in January 1540, a farewell celebration was held in Cusco for Pedro de Valdivia and his 11 men, accompanied by Inés de Suárez and nearly 1000 yanaconas, on the eve of their departure for Chile. The expedition traveled to Lake Titicaca, and from there passed into the Arequipa Valley and then to the coast; they then marched through the valleys of Moquegua, Locumba, Sama and Tacna, resting in the area of Arica. They crossed the coastal desert plain on the way to Tarapacá, at the western edge of the Pampa del Tamarugal, where they were able to obtain provisions. The expeditionary force included around 30 soldiers, and its field master, Pedro Gómez de don Benito, was familiar with the route as he had taken part in Almagro’s expedition and had returned with him to Peru. He decided to wait in Tarapacá for the arrival of reinforcements and to meet up with Pedro Sancho de la Hoz, yet another of the conquistadors. A group of nearly 80 soldiers, led by Rodrigo de Quiroga and Pedro Anaúrez, joined Valdivia’s expedition here, having come from another expedition to Chunchos, an area of tropical jungle located in eastern Peru and Bolivia. Valdivia’s group also waited for Alonso de Monroy and his men, who were coming from the Andean highland province of Charcas, in present-day Bolivia. And in a village that the natives named after the Caperuzon people, they were also joined by Francisco de Villagrán and his soldiers. After resting for 50 days, Valdivia left Tarapacá with his soldiers and yanaconas. The journey to the localities of Guatacondo and Pica was harsh. From there, they continued southward through the lowlands and middle lands, until reaching the valley of Quillagua (at the Loa River) on their way to Calama and the oases of Chiu-Chiu and San Pedro de Atacama. When the natives of Atacama heard from other groups—the so-called Caperuzones, Guatacondor and Picas—that the General was approaching, they hid their food and livestock. In June 1540, Valdivia reached the oasis of Chiu-Chiu. From there, he took 10 men and traveled to San Pedro de Atacama to meet with Francisco de Aguirre, who had been waiting for him there for two months. Aguirre had obtained provisions (primarily corn) for the expeditionary force from the natives there. He had also fought victoriously against nearly 1000 natives at the pukara of Quitor, decapitating several chiefs, and as a result the place was known as the “ town of the heads.” Meanwhile, five Spaniards led by Sancho de la Hoz attempted to assassinate Pedro de Valdivia in Chiu-Chiu. When he learned about the plan, Valdivia administered justice, making the men return to Peru without weapons or horses, an effective death sentence in this harsh land. Sancho de la Hoz, however, was taken away in shackles after voluntarily releasing Valdivia from the contract the two men had entered into. Discredited and indebted, he did not wish to return to Peru but asked Valdivia if he could continue with the expedition. Valdivia accepted his request and released him, but sentenced him to continue marching unarmed and under watch. From San Pedro de Atacama, Valdivia continued his journey south, through Peine, Tilomonte and Tilopozo, the last watering places before the great Uninhabited Lands of the Atacama. What occurred in this vast territory, which extends from Arica to the Uninhabited Atacama, after the arrival of the Christians? The Spaniards reorganized the territory and its inhabitants according to the Spanish political–administrative, economic and religious system. They incorporated productive lands by establishing encomiendas and gradually reducing the indigenous population into settlements. They restructured economic activity, incorporating it into a larger economic system involving the port of Arica and the town and mine of Potosí, this time in the service of another empire. Administratively, the territories of Arica and Tarapacá were part of the Royal Audience of Lima and the Viceroyalty of Peru, under the name of the corregimiento (municipality) of Arica. This locality included smaller districts called “tenientazgos,” each governed by a lieutenant appointed by the Governor, who was himself the representative of the mayor (corregidor) de Arica. The municipality included the districts of Locumba and Tacna—which included the coast, valleys and mountains of Arica—as well as Tarapacá, with its valleys, the oasis of Pica and the port of Loa. The port of Arica became a hub for goods imported from Europe and central Chile, and over time it grew into a multicultural place inhabited by a mixture of Spaniards, natives, mestizos and African slaves. The District of Tarapacá was divided into several large doctrinas (mission districts) and parishes, each with its associated villages. Two of these were Santo Tomás de Camiña and San Lorenzo de Tarapacá, the latter of which included Mocha, Iquique, Mamiña, Noassa and the rich silver deposit of Guantajaya. The central parish of the town of San Andrés de Pica also included Puerto Loa, Quillagua, San Salvador de Guatacondo, Chipana, Capurra, Bingintipa and the Ujina mine. For its part, the corregimiento of Atacama was administratively part of the Audience of Charcas, based in the city of Sucre, in Bolivia. It was divided into two mission districts: Atacama la Alta or Atacama la Grande, centered around San Pedro de Atacama and including the salt flat and its surrounding oases; and Atacama la Baja or Atacama la Chica, centered in San Francisco de Chiu-Chiu and including the settlements of the Loa River and those on the coast, as well as the parish annex and port of Cobija. The Spanish colonial society organized the indigenous settlements and localities. The indigenous population itself was distributed among encomiendas and accounted for to ensure it met its tribute obligation to the Spanish Crown. The organization extended to economic activities as well; for example, the native inhabitants of the coast—the Changos, Urus and Camanchacas—worked mainly in extracting guano and fish, while those living further inland specialized in farming, raising livestock, mining and transporting goods. In the 16th century, the Arid North was a territory in which goods were produced and circulated in a pre-Hispanic economy. In the early years of the 17th century, the economic model imposed by the Spanish reorganized some traditional resources such as chili and corn crops, fish, guano and camelid herds, and introduced European ones like wheat, grape vines, alfalfa and mules. The colonizers also took advantage of the existing road network, profiting from the ingenuity and hard work of the region’s longstanding inhabitants. In short, the Hispanic colonial enterprise was not built from scratch in unexplored lands. While the territory was certainly new to the Europeans, other peoples had subsisted and advanced there very successfully for centuries, living very fruitful lives.